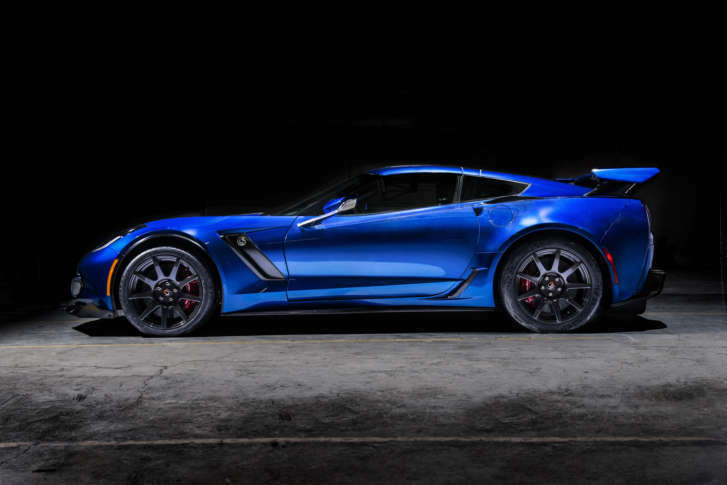 VIRGINIA — Screaming engines and roaring exhausts are typically what comes to mind when people think of high-performance cars, but a Rockville-based automotive company is joining the ranks of carmakers who are daring to change all that with a fully electric, retrofitted Corvette. A slice of legendary automotive Americana, the Corvette has fueled the passion of motorists and hot-rod enthusiasts spanning seven design generations. Now, Rockville-based Genovation has added their own take on the legend, and showcased the product at the 2018 CES, a consumer electronic show in Las Vegas. Put aside your antiquated ideas of performance: introducing the Genovation GXE, the highest performing electric car in the world, according to co-founder and company CEO Andrew Saul. The concept behind the GXE almost became a fleet of vehicles for the Montgomery County government. The company launched in the early 2000s in response to an expressed intention to build a modified, fully-electric Ford Focus, set to be called the G1. But when the recession hit in 2007, county budgets were slashed and the proposed acquisition was tabled. So instead, Saul turned his attention to a vehicle built for ultimate performance and unmatched velocity, far exceeding anything one might typically drive on city streets. According to Saul, every element integrated into the vehicles design was created with that performance fully in mind. Out on the road, the C7 will function much like a military fighter jet. The invertors — build by the same company that designs the item for Formula One race teams — the batteries and electronic twin motors produce more than 800 horsepower with a drive train that powers through a seven-speed manual or paddle shift automatic transmission. Even the company’s approach to marketing is innovative. According to Saul, Genovation recently added former Chief Operating Officer of Bugatti North and South America John Hill to their team. “[Hill] will be a great grass roots addition as he is very connected to the car collector community,” he said. Genovation has set its production limit to just 75 cars. The cherry on the top that makes the vehicle truly unique is the paint job. “The color is deep and lustrous with 15 coats of paint and since we’re only making 75 of these, once a customer picks a color, it’s no longer available to anybody else,” Saul said. Due to the exclusivity and limited production run, this car is priced at $750,000, with a $250,000 deposit required to place the order. Vehicles ordered now will be delivered in Q4 2018. Three-quarters-of-a-million dollars is a lot of money, but in return the buyer gets a lot of car. Steve Winter and Kenny Fried are WTOP contributors who work for Brotman|Winter|Fried, a Sage Communications Company.